Team bosses from Ferrari, Mercedes, Renault and Red Bull sit down with the press in Melbourne, Australia. The world of Formula One is still reeling from the news that FIA Director of Formula One Charlie Whiting passed away in the early hours of Thursday morning. Some of the drivers gave us their thoughts yesterday, and I’d like to get your memories of Charlie as well, starting with you Toto? Toto WOLFF: It was a total shock when we received the news yesterday. You see somebody every day and the day before and then he’s gone, and it reminds us what is important in life. We are all going at an incredible pace from race to race and then it can get you like this. But Charlie was an unbelievable person. If you are in that position over so many years and then year and years and you still don’t make a lot of enemies that shows your character. He was always well balanced. You could seek him for guidance. He would always, when it was difficult within the regulation to really get down to the bottom and interpret certain things, he would give you a common-sense answer that you could work with and he was just a reference point that will be dearly missed. There is a huge whole at the moment that needs to be filled but for us the person, Charlie, who strolls in for a coffee and was just a decent man and I’m really sorry for his family in these terrible times. Q: Thank you. And Mattia? 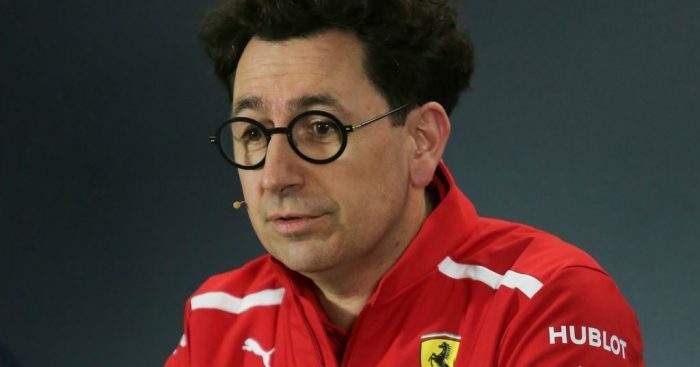 Mattia BINOTTO: For my side, I can only join the words of Toto. Charlie was an incredible person, very great. It’s a huge loss for the entire sport and a huge loss to Formula 1. I think we should thanks him for the entire contribution he did to the safety in F1. I think it’s something we will remember. Certainly, he was such a great person, as Toto said it’s quite incredible from one day to another and I think it’s how precious is the life. But all great memories; a fantastic guy. Christian HORNER: It’s a huge shock for everybody. Obviously I’ve been working with him for 20 years now and to get the news yesterday, first of all it’s disbelief. Charlie was one of the good guys. He was a racer. That was his background. When you spoke to him about his days at Brabham, working for Bernie, there was always a smile on his face. He knew all the tricks in the book and that made him the ideal guy to become poacher turned gamekeeper when he took on the role with the FIA. And he handled that role, a tremendously difficult role, with great balance and diplomacy in some incredibly difficult situations. He was one of those guys who went under the radar but what he contributed was enormous, from a safety point of view, from what the sport is today. I think there is a huge debt of gratitude owed to Charlie for what Formula One is today, the safety, the lives that his actions actually saved, you know the way these cars are now and the safety record that they now have. It’s a huge loss to Formula One, a tragic loss to his family and friends and for his young children as well. All our thoughts are with his family and friends at this difficult time. Q: Thank you. And Cyril? Cyril ABITEBOUL: It’s difficult to add. It’s clearly a shock. I think the paddock went silent yesterday when the news started to spread. It’s a strange thing to learn such a thing to learn such a thing at that moment, in the paddock, where unfortunately or fortunately the show needs to go on. It’s just amazing what he has been able to experience, the 20 years of evolution of Formula One. Just remember what Formula One was 20 years ago and yet he has been capable of staying on top of the all tricks, loopholes, hideys, constructive interpretation of the regulations with a balanced judgement and integrity and being capable of frankly avoiding… or making sure that all the ships would stay in Formula One, despite all the risks associated with interpretation of the regulations and showing that you can conciliate being quiet and balance and authoritative. And no one would challenge his authority. It’s a huge loss but indeed the show must go on. Q: Thank you. If I could stay with Cyril, we’ve had winter testing, we’ve just had the first free practice session of 2019. Just give us a progress report on Renault and in particular how Daniel Ricciardo is bedding in? CA: There’s been the winter, there’s been pre-season testing and there is FP1 and first I’d like to remove FP1 from the answer because it was a bit of a scrappy session with some reprogramming that took away precious lap time, as we had to test a number of items, so obviously our lap time was not really representative. Anyway, there won’t be any lying or explanation on Saturday, so let’s wait for Saturday and Sunday. The progress report is that we know we have a huge gap ahead in our attempt to reach the top three, which has to be the mid-term target and in 2021 fight for wins. We are on that journey. So much has been done; so much needs to be done. Good progress in particular on the engine side and Enstone is still completing its transformation and is striving to build a chassis that can win some races in the years to come. Daniel – fantastic addition to the team. In summary, he’s inside what he looks from the outside and he’s already making a fantastic contribution to the team. Q: Thank you. Christian, same question to you really. How’s progress with the Red Bull Racing Honda package? Christian HORNER: Yeah, it’s been a promising winter. It’s been interesting working with Honda. It’s been extremely collaborative. Obviously performance is difficult to read in pre-season testing, but reliability has been strong. I think we turn up here in Melbourne hopeful of a competitive season ahead of us. But it’s only really when everybody pulls their pants down tomorrow in qualifying that you see where we’re at. Q: And a few words on Pierre Gasly? CH: Yeah, he’s another product of the Red Bull Junior Programme, as Sebastian Vettel, Max Verstappen, Daniel Ricciardo, Carlos Sainz. He’s another exciting young product that we’ve invested in as a junior driver and he’s in the seat because of the promise that he has shown. Obviously he’s settling in. He’s going to needs a little bit of time to get up to speed but he’s a very quick racing driver and we have high expectations of him in the future. Q: Thank you Christian. Mattia, you were the pacesetters in winter testing. How confident are you coming to this first race? Mattia BINOTTO: Not confident at all. I think that winter testing is not qualifying, it’s not a racing environment, you never know what the others arte running. Very difficult to assess the performance. I think we simply focused on ourselves, we had eight intense days, very little time to prepare for Melbourne. By the time you finish the testing the cars are ready to be shipped directly to Melbourne, so I think it’s really by here that we start understanding who is the fastest. I think our challengers are very strong. These guys on my left have won the last championships and they are still somehow the team to beat. So honestly I think on our side we can only focus on ourselves, step by step try to improve and try to be as fast as we can. Q: Mattia, can you tell us a little bit about your new role, you’ve been promoted to team principal over the winter. How much time do you dedicate to technical matters now? MB: I think technical matters are still probably the highest priority. The car needs to be fast and the rest will follow somehow. Obviously it’s still my main focus. It’s still let me say anyway, it’s the main focus of a team. I think the technical is where you’ve got the main of your activities and where you are putting your efforts. It’s true that there are a few more things to be done and to deal with but technical is still the main priority. Q: Thanks. Toto, it was pretty difficult to read Mercedes’ programme in winter testing. What’s your summary? Toto WOLFF: Yeah, also difficult to read for us. We hit the road and it wasn’t great. Then we brought a substantial upgrade package to the second test and slowly but surely started to understand and learn and put the dots together and at the end it was a quite decent end of testing. But like Mattia says, the teams were, lap time wise, very close together, but very few kilograms of fuel can make you look very good or less good. That’s why, pants down on Saturday, that’s the first real benchmarking this year. Q: Well Lewis was in very confident mood in the press conference yesterday and fastest in FP1 as well. What about Valtteri? What sort of form do you see in him? TW: Valtteri had a decent first session today. We tried a few things on his car and the absolute lap time would have been quicker if he had pushed for a quicker lap time. He came back very strong from the winter, did some rallying, rediscovered the joy of driving. I heard that yesterday he said that he got drunk a few times, to forget, so it’s a good start. And I expect Valtteri to be the strongest this year, the strongest Valtteri we have seen. TW: Well, of course, I’m always worried, and we had a laugh last year because I couldn’t get hold of him and couldn’t get hold of my chief strategist and one of the race engineers – and found out they were racing motorbikes in Jerez and nobody would pick up the phone. And then they were a bit apologetic. But Lewis is not an 18 or 19 year old young man any more. He’s a five-time World Champion. He knows exactly what works for him and what doesn’t. All these activities, in my experience, are not a negative distraction but on the other hand something that he enjoys that he enjoys doing. Some things are just a hobby: like sports; others are more of a passion, like the fashion business and every time he’s able to decompress from motor racing, he comes back stronger. We mustn’t be judgemental. Some people go on a meditation seminar to India. Others do Sky-diving. Others are out for the ladies. Let’s accept how everybody is. He is justified and has shown that he is one of the best out there. Q: (Christian Menath – motorsport-magazin.com) Question for Mattia. Did you investigate the rim failure from the Barcelona testing any further? Last time you spoke, you weren’t one hundred per cent sure what happened. MB: Certainly we investigated. We still do not have a full picture, full picture or certainty on what happened. But we put a lot of actions in place and we are pretty sure that, with the actions we put in place, somehow we have cover there, we are safe for the next running. So, we are still doing some checks. We are making sure that we have the full picture of what may have happened – but let me say that we feel safe. Q: (Scott Mitchell – Autosport) The affiliation between some of the bigger teams and the smaller teams has been in focus the last couple of years. We’ve seen the likes of Haas use the regulations to good effect. Red Bull and Toro Rosso are obviously closer aligned this year. With F1 moving towards possible resource restrictions and things like that, is there a danger it was going to become essential for big teams to have these affiliations with smaller teams? CH: I think mainly the benefit is for that of the smaller teams. There wouldn’t be a Haas if that model wasn’t available. I think the affordability of Formula One is extremely expensive. So, Toro Rosso, they’re using an awful lot of components from RB14. So, it’s effective for them within the non-listed parts they’re permitted to do. They don’t have to have the design resource, the R&D infrastructure – so therefore the cost for them to go racing is affected by that. I think that there’s ultimately a sensible offset between needing to be a full-blown constructor team and being able to acquire those non-listed parts. So, personally, we don’t have an issue with it, and feel that, for the smaller teams, it’s been demonstrated that it’s cost-effective and works. MB: Fully aligned with Christian. The Haas model has shown how good it is for such a team, and I think at the end it’s a good thing for F1. As we’re looking ahead, I think if there are any concerns, it’s up to us to understand what are the concerns and make sure that we are mitigating, or avoiding them – but I think that the model in itself is the right model. TW: Nothing to add to what the two said. CA: Obviously in a bit of a different position here. I have mentioned that on a number of occasions. We could be spending hours to discuss that topic but it’s already a challenge for a team like us to compete against that top three teams who have thirty to forty per cent more resources than us. But if they are now capable of combining their resources with other teams, or getting the benefit of synergies within the scope of a budget cap, that’s a problem. That’s a problem for us. That’s a problem for at-least two other teams in the field. And I don’t want to talk for them – but that could also be a problem for a new entrant, willing to enter Formula One and willing to be competitive. So, that’s a serious topic because it’s maybe that we are now saying “OK, we have three top teams and that will be it. And anyone joining with have to accept they will not be in a positive to be competitive. I’m not here to complain or moan: we know the regulation but obviously we are extremely careful about what’s going to happen in 2021. For now, we are not convinced about the safeguards or the containment measures that have been put forward, despite the fact that you can trade some parts in the context of a budget cap – but we will continue to work with governing bodies to hopefully get to a more satisfying outcome. Q: (Ben Hunt – The Sun) A follow-up on the question about Lewis sky-diving. Not for Toto but for the other team bosses. For clarify really, do you have clauses in your drivers’ contracts which prevent them from doing extreme sports? CA: I’ve just been through that very recently. We have a different type of contract. It’s mainly, I guess an insurance and a financial topic because there is a way that you are managing the relationship with your drivers and there is a ‘what if’ scenario in case something bad occurs. So, without disclosing any confidential arrangements, I think as far as we are concerned, it’s a bit like Toto: we have two mature drivers who know what they should be doing and should not be doing. So it’s pretty much their call to decide. Obviously the financial consequences can be on their side if they commit something that causes them to not be in a position to honour their obligation any more. So, I would say that the generic, for younger drivers, you would want to have more control on what he does – that’s what I’ve seen in previous life. That’s the situation. MB: What’s more important is to have the right relationship with your drivers, making sure they understand, that they are sensible – but these guys are professionals. There is nothing that you need to tell them. They understand pretty well what’s the danger, what’s the risk and they are behaving well. CH: We’re Red Bull at the end of the day and y’know, no risk: no fun! We don’t actively encourage our drivers to go and take a lot of risks but they’ve got to live their lives and have some fun along the way. It’s great to see that our drivers take that seriously. We sent them surfing the other day. Max Verstappen demonstrated restraint where he was nervous to get on a surfboard for fear of being eaten be a shark. Despite nobody being eaten by a shark on that beach since 1963 or something. So, obviously, I think it’s an important thing that they take care of themselves but it’s good for them to enjoy and experience other activities. Q: (Richard Bailey – motorsportm8.com) Today, around the world, we’re seeing millions of school students walking out, staging a protest against government inaction to tackle the threat of climate change. Formula One sits at the pinnacle being able to demonstrate through its technical advances the positive impact that this can have in terms of fuel burn and energy regeneration, yet the message doesn’t seem to be coming through as effectively as it could. What more can the sport’s key players do to drive this message to the next generation? CH: I think, actually, the efficiency of these engines is so understated. The fuel economy that these engines are achieving is mind-boggling so actually what Formula One is managing to do, in terms of furthering this technology, is truly impressive and I think it’s a message we need to get across more. We’ve all come here on aeroplanes – or most of us – from across the world and been burning fuel at 38,000 feet which is obviously a far bigger carbon footprint than anything that’s going on in Melbourne this weekend but I think in terms of the messaging that Formula One is achieving, I think it should be actually praised. The technology that the manufacturers have brought in through these engines and the economy that’s now being achieved is quite phenomenal. MB: I think there’s really not much to add. We need to communicate it better. What is good is when you see that such technology will be transferred into the automotive (industry) and certainly our, let me say, turbo technology at the moment is of interest to the entire automotive (industry) so that again F1 is showing on the edge of technology and in this case really pushing the message so it’s down to us really to explain it and make sure it’s happening. TW: I think it’s more the macro picture than the micro picture for us. My teenage children are on the street today, walking out of school and I find it really strong that this young generation wants to actively take care of what the future is and there is this overwhelming problem burning fuel in the airplanes. I’ve read, most recently, that the 15 largest container ships burn or have as much emission as 760 million cars and the plastic that ends up in the seas is a phenomenon that we can even see in Europe every summer and I think these things need to be tackled and when we look into our micro-cosmos it’s like Christian and Mattia said, those engines have all the energy recovery that you can find in the most modern road cars. We have battery technology, we have energy recovery through various systems and they have become more and more efficient and they are very much at the forefront of technology that eventually ends up in road cars and each of us has the duty, be it in our little small world, of not using plastic bottles any more or looking after our own environment and in the same way as the guys being involved in Formula One, making sure the right message is transported into the world, that these engines are the most efficient and the most green engines that have ever existed. CA: Well, I guess it will be up to the new generation to demonstrate whether or not it’s still relevant to race in cars and go around in circles around the world but more than that it’s important that Formula One remains at the edge of what technology has to offer and also those engines are just fantastic as Christian and the others were saying. The average efficiency of an internal combustion engine is in the region of 30 per cent to 35 per cent. We are above fifty per cent in Formula One; that’s massive. If this type of efficiency was affordable for all mass markets products that would be a massive contribution to CO2 emission. So that’s something we need to keep at the edge of in future. We are talking about e-Fuel, fuel that will not be composed of fossil energy. This type will be a game-changer, I think. We need to make sure that Formula One remains a demonstration for game-changers. Q: (Louis Dekker – NOS) Do you agree that twelve teams is a necessity for Formula One, or do you say that the recent past proves that it might be a bad plan? CA: I think that what’s important is the number of teams that are competitive and can really directly contribute to the show and can pretend that they are expecting to win. But if there is a business model which is sustainable for 12 competitive teams, I think that that should be what is looked at. TW: I think it’s important that the starting grid looks complete and that for the live spectators that you see lots of cars going around the track, but I think we are in a decent place right now for Formula One and the value of the teams is more important, to keep those franchises limited to attract the best brands to enter or participate in existing teams. I think that is the most important thing going forward. MB: Not much to add. I think what they said is good enough. CH: Yeah, I always go quality over quantity. I think we’ve got ten teams that are in pretty decent health at the moment compared to previous years and I think that as we are seeing, when the grid is expanded, none of those teams that came in a few years ago are still here today. Formula One, the cost of entry is so high it’s virtually impossible unless you’re an OEM or multi- multi-billionaire and sometime not even that’s enough. I think we’ve got a good balance at the moment. I would prefer that we look after what we’ve got and have good quality and a closer grid than just inviting more entries for the sake of filling the grid shot and being more cars to lap. Q: (Roger Bryon – Beyond Racing Line) Have any of you seen the Netflix series ‘Drive to Survive’ yet? And if so, what are your thoughts on it? And furthermore, what are your thoughts on a closer look for fans of more on the inside of the workings of Formula One? Q: Well, who has seen the Netflix film? CH: I’m really looking forward to season two. I think there may be a fight, maybe between Cyril and Toto this season. The Netflix thing, it was an interesting project. I think it shows a glimpse behind the scenes of Formula One. I think it’s had huge interest, from what I understand, because it’s not just obviously about what’s going on on track so it shows glimpses of behind the scenes action. I think it’s reaching a new market which is important, I think particularly in the US as well. I think it’s a different side of Formula One, certainly interesting. CA: I think the bottom line is that it’s a good thing for Formula One. A number of people have talked to me about Formula One for the first time having never talked about Formula One so it’s definitely reaching a different type of consumer or fan group, which is good. Did I like everything that I saw in it? No, so I think it’s important to have some formal disclaimer that it’s a bit… although it’s unscripted, it’s a bit of fiction also. It’s important also, given what’s at stake in terms of brand reputation, that we don’t completely confuse what’s in between information and entertainment. TW: We obviously didn’t participate for some reasons. I watched three episodes on the plane. I think I missed the most important one, the fourth. I thought Cyril and Christian were actually friends! There are some people who never watch Formula One who have given good feedback. There is a lot of fiction. People say that Guenther Steiner’s a decent guy so he benefitted from the series! CH: I think what it demonstrated is that Formula One has a huge tourettes problem! The amount of blue language in that series, particularly… I mean Guenther, every other word… He’s scary! TW: I think it’s a good promotion for Formula One, it’s well done, it’s obviously very intrusive in a certain way but the promotion is good. MB: Not seen it yet, will do, but at least today I understand why these two guys are on the extremities of the table! I’m looking forward. Q: (Mike Doodson – Honorary) I’m British which I mention because my country has resolved to liberate itself from the European Union. Some of you have already commented on the difficulties that this process is going to create for you. I wonder if things have got better or worse since then and if you could mention some of the things which are going to present the greatest difficulties after March 29. CH: Well, trying to follow what on earth is going on in British politics at the moment is rather difficult for all of us and it’s slightly embarrassing from outside looking in at the way that politicians are acting within this whole process. The country obviously voted to leave and there seems to be too much self-agenda that’s being tabled at the moment so there’s almost a vote every day. Nobody’s quite sure what the votes are for. We don’t know whether we’re delaying, we don’t know whether we’re staying, we don’t know where we’re going so if somebody could explain to me what actually Brexit did mean that would be quite helpful because at the moment there’s an awful lot of confusion over it so for us, the reality is it’s business as normal, we’ll wait and see what and if and when Brexit does happen and when it happens then we’ll deal with it but of course you try and put as many what ifs scenarios in place as you can to protect the operation of your business. MB: Pretty happy that Maranello’s in Italy and obviously I can see that these guys are pretty worried. Concerned obviously that Brexit is a concern not only for F1 and I think that we should look at the bigger picture rather than only F1 but I understand that they are worried at the moment. TW: For some time, I found it really tragic but that tragic has somehow changed to really good entertainment. It’s better than the Netflix thing, actually. Every evening I watched BBC.com and what they showed from the House of Commons and you’re not quite sure whether it’s Monty Python or whether it’s really happening. I will get in trouble there. I shouldn’t talk about politics. But for us, we have 26 nations in our company and it is a matter of concern. We are living from the just-in-time principle of getting goods in and goods and people out and if this were to be disrupted that would be a problem but I don’t think that can happen. Formula One is the silicon valley of the UK but there are many larger industries… the automotive industry would be massively impacted if there would be the so-called no deal – I don’t know what no deal would actually mean. But I think at a certain stage, common sense needs prevail. I would hope so. CA: I’ve nothing to add really. Indeed, we looked at the options, we tried to make plans. Apparently it’s at least pushed back, so March 29, I understand, is not the deadline any more. What really matter is that particular people we could see massively lots of nationalities, we want to make sure those people can stay where they are and we can continue to invest in them.